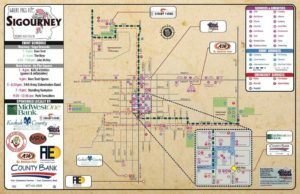 Motorists should be aware of road closures and traffic delays this Thursday as thousands of bicyclists travel to Sigourney in RAGBRAI. 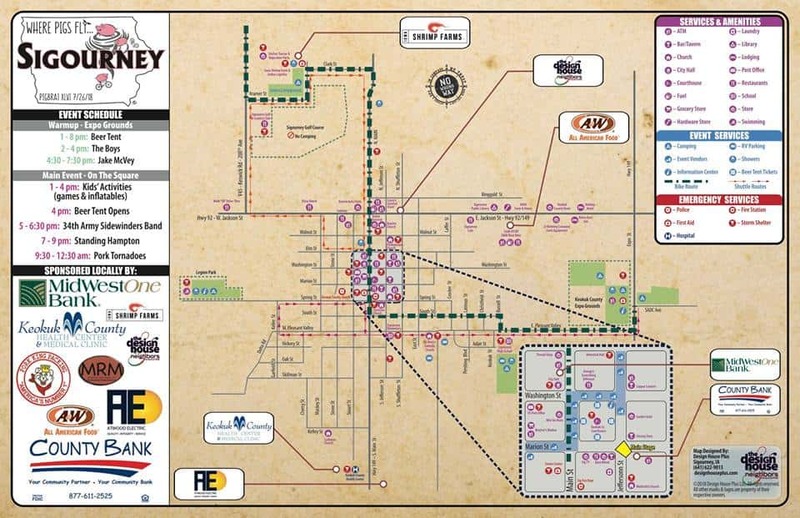 The following roads will be closed for the bicycle route: Kramer Street between County Road V-45 and North Cherry Street, North Cherry Street between Kramer and Clark Street, Clark Street between North Cherry and North Main Street, North Main Street between Clark and Jackson Street, East South Street between South Main and Russell Street, Russell Street between East South Street and East Pleasant Valley Street, East Pleasant Valley Street between Russell and the east corporate limits, and 220th Avenue between 225th Street and to the north corporate limits. The following streets will be closed for the beverage garden, vendor, and support staff areas: East Elm Street between North Main and North Shuffleton Street, East Washington Street between Main and Shuffleton Street, West Washington Street between Main Street and the east side of the alley in the 100 block of West Washington Street, East Marion Street between South Main and South Shuffleton Street, West Marion Street between South Main and South Shuffletown Street, and Jefferson Street between East Walnut and East Spring Street. Alleys located in these blocks will be closed as well. The closures will be in effect from 6 p.m. Wednesday to Friday at noon. Any unauthorized parked vehicle may be towed at the owner’s expense upon the request of the Sigourney Police Department. To read the full ordinance click here.